Knowledge checks give learners an opportunity to gauge how well they’re grasping material. They’re typically not graded or tracked, so they’re a less formal means of providing feedback to learners after content is introduced, but before the final quiz or assessment. Let’s take a look at a few steps you can follow to quickly add knowledge checks to your courses. The first step to creating a successful knowledge check is to define clear and measurable learning objectives. That way, when you align your knowledge checks to course objectives, they’ll feel more meaningful and help reinforce your course goals. What you teach should be linked to real performance, so think about what the learner is going to be able to DO with the skills and information you teach them. Avoid using words such as “understand.” That’s not clear. Instead, find the basis for understanding and then build your objective around that. To learn more about writing learning objectives, check out our recent blog post, How to Create Learning Objectives for E-Learning. Once you’ve outlined your objectives, it’s time to get them active—as in interactive. One of the easiest ways to bring your static content to life is to reframe your existing content into the form of a question. This is a great way to create informal, interactive knowledge checks without extending your project’s timeline. Articulate Storyline’s Convert to Freeform option makes this process really easy. To learn more about how to use this technique, check out our blog post How to Transform Static Content into Interactive Knowledge Checks. When creating knowledge checks, keep in mind that you want to give learners a realistic view of how well they’re mastering course content without throwing them for a loop. You don’t want to use tricks such as confusing or inauthentic questions, but you do want to challenge learners so they have a true view of how they’re performing in the course. Once your questions are ready, it’s time to think about what type of feedback you want to give your learners. Well-crafted knowledge checks provide learners the opportunity to explore correct and incorrect choices while receiving valuable feedback about each choice. This additional context and feedback helps learners gain confidence and familiarity with the content before proceeding through the course and completing the final, graded assessment. 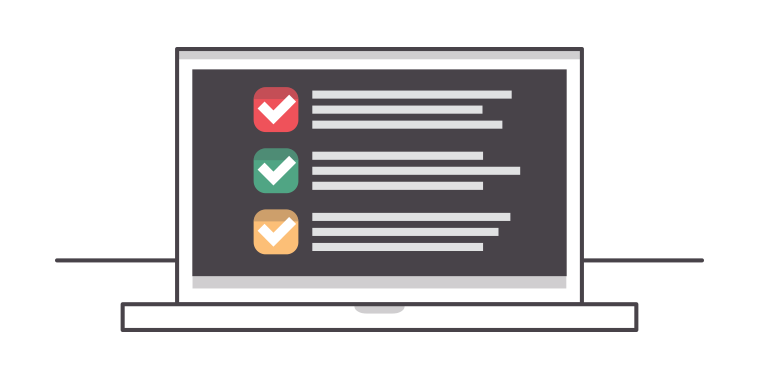 Most e-learning authoring tools can provide question- and choice-level feedback. As a best practice, use choice-level feedback to address all correct and incorrect choices so the learner understands why his choice was correct or incorrect. Additionally, you can build performance support options into the knowledge check so learners can revisit previous information or additional information that helps them master the content. Knowledge checks are an important e-learning tool that helps learners prove mastery of the course concepts and objectives. So, the next time you’re looking for a simple way to challenge learners to apply what they’ve learned, try these simple steps to get a better idea of whether your learners have truly met your course’s objectives.